Last week’s segment was the best you might have seen in the entire series that far. Let’s see how the creators are going to match or scale the greatness of tonight’s episode. Irrespective of it, we are definitely excited to see what’s coming next. They are again for some interdimensional fun. Below, we have more details. It is going to air tonight, Sunday, September 17, 2017. It will air at 11:30 pm ET or 10:30 pm CST and be a 30-minute long episode. Right before, Adult Swim will air S3E7 The Ricklantis Mixup at 11 pm ET. You will need to check the TV listings of your local cable provider. It will also be available to be streamed live on other streaming services and apps like fubo.TV, DirecTV, YouTube, etc. Before going to watch today’s segment, go through its preview video available here. This season is also approaching its end. A hidden truth is revealed when Morty’s memory is suddenly restored. 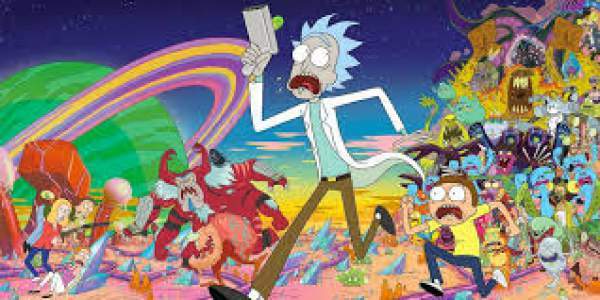 In the promo video, Morty and Rick are featured being chased by someone in some other dimension. Morty is running while carrying a tortoise to which Rick refers to a ‘truth tortoise’. He asked Morty not to look in its eyes. But, he has already looked accidentally. Suddenly, he says that he can’t like this with the Truth Tortoise being in his head. Then, Rick takes him into a laboratory known as Morty’s Mind Blowers. It has all the stuff which Morty requested him to remove from his life. What truth is going to be revealed as mentioned in the official preview? What are your views and you think is going to happen next? Share with us and other readers as well via commenting below. RnM s3e9 will air in the upcoming week. Stay tuned to TheReporterTimes for more anime series updates. Don’t forget to share.